Practicing Sketchnotes – Love. Life. Practice. 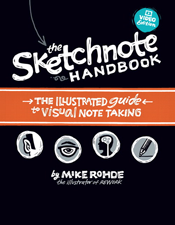 A while back I spent more money than I thought I had to purchase Mike Rohde’s Sketchnote Handbook. My life has not been the same since – suddenly I felt like an artist-scholar, and with my pen and paper I could take TED Talks, presentations, even books and turn them into my own visual memory. As you read this, I am (hopefully) deep in a Simple Time of Peace (SToP) retreat, and as such I won’t have any technology beyond pen and paper. 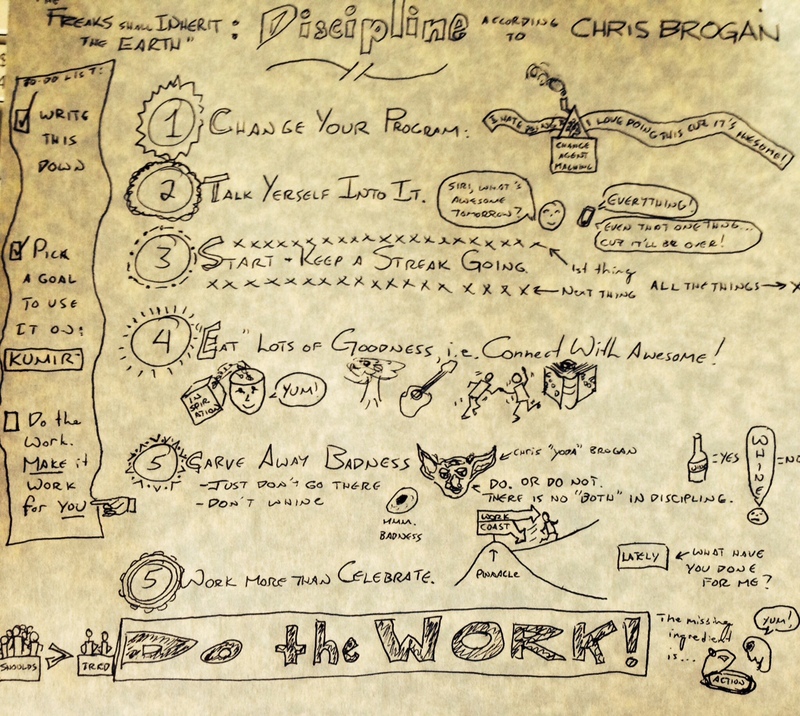 But it’s my plan to come out of it with more documents such as this one, the Sketchnote I made while reading Chris Brogan’s chapter on Discipline in The Freaks Shall Inherit the Earth. Perfect? No! But it is mine, and I unreservedly encourage you to explore Mr. Rohde’s site and like me, join the Sketchnote Army! I know. There are two number 5’s. My creativity is not bounded by linear thinking!